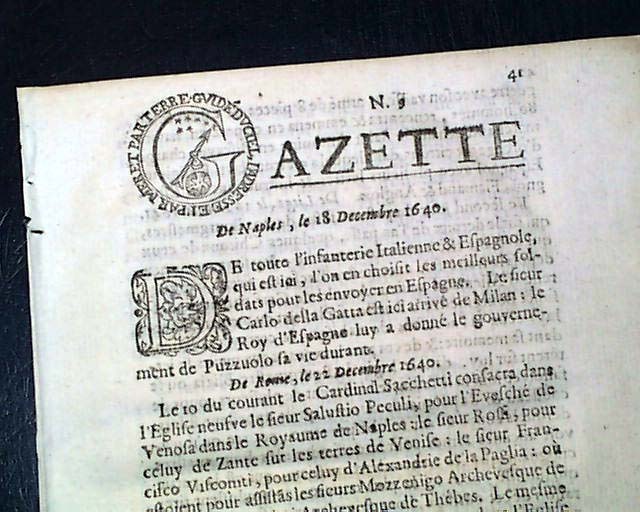 GAZETTE, Paris, France, Jan. 26, 1641 This issue predates the earliest English language newspaper we have in our inventory by nearly 15 years. 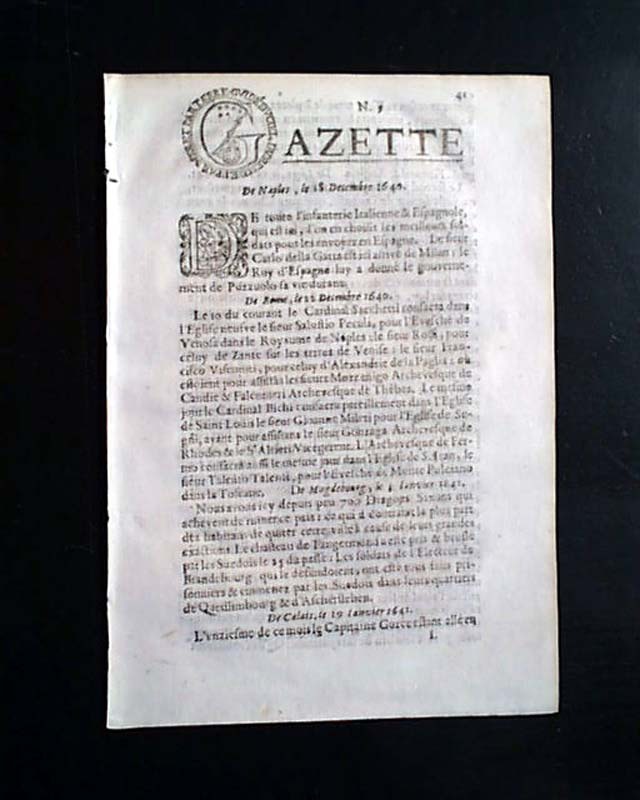 This was the very first regular newspaper published in France, started in 1631 by Théophraste Renaudot but with influential backing by the powerful Cardinal de Richelieu. 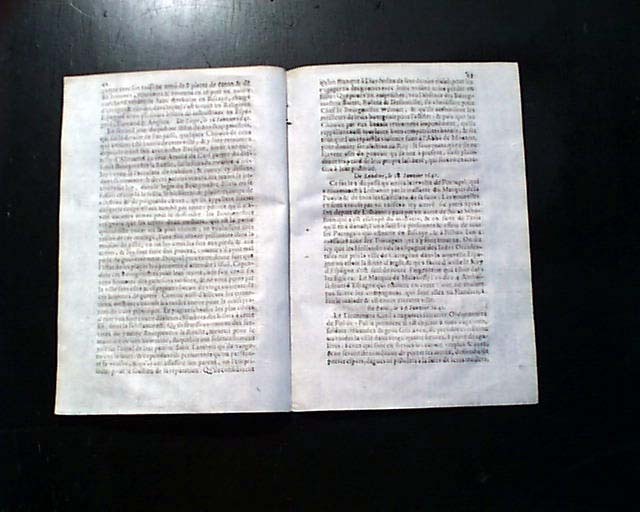 The title has the first letter embellished, as well as the first letter of the text (see). 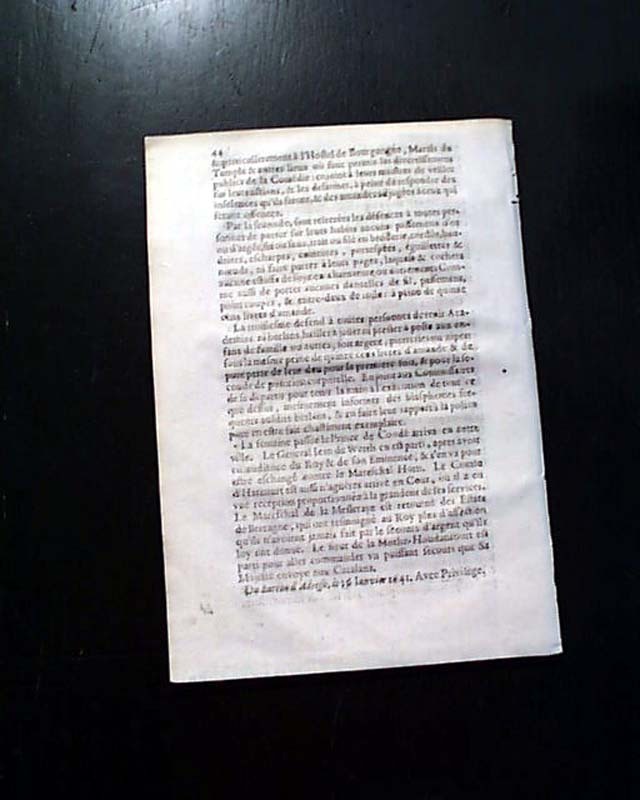 This small-size issue of 8 pages (6 1/2 by 8 1/2 in.) has the date at the bottom of the back page, but there is also a full date with each of the various news reports from various cities in Europe. All text is in French. A very rare opportunity for a newspaper which predates anything of the like in most other European countries. Also an excellent opportunity to add what is likely the earliest dated newspaper currently available to your collection. In excellent condition.